Air Force pilot Caleb Kelly has come back home with one mission in mind-to propose to the woman whose letters and lucky charm helped him survive his deployment in Afghanistan. But when he finds their apartment empty with a note saying she's left him, he arrives at her mother's house in rural Alabama less than a week before Kourtney is about to marry another man. Now he's out to win her heart again and gets some unexpected assistance from her younger sister, Alex. Alex Leadbetter has always thought Caleb was too good for her manipulative, social-climbing sister. She had assumed Kourtney's identity to write letters to him and keep his spirits up until he returned home to the hard truth, never expecting to fall in love with him along the way. After he shows up in town, she convinces him that the best way to get Kourtney back is to make her think he's fallen for someone new - her. 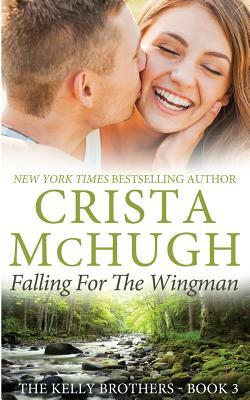 But when a fake romance becomes all too real, her deception may leave them both grounded.